These labels were designed to fit on a jar that had little space for labelling, most of the space was taken up with information about the product, so in order to attract attention we decided to print on a foil label. 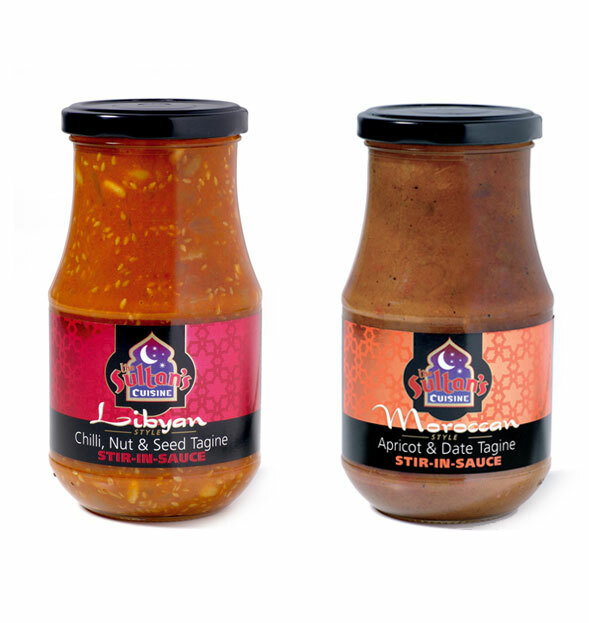 We wanted each product in the range to shine like different coloured gem stones - to evoke the richness of the Middle Eastern Cuisine and to evoke the stories from the Arabian Nights. The range was accepted into Asda, though we later re-designed the range when new jars were produced giving us a larger area to work with - see new jars.